Saathi Foundry Solution engaged in manufacturing of wide range of foundry machinery since 2011. With our wide exposure to foundry technology, We have expertise in manufacturing various quality foundry machines such as Shell Core Shooter, Sand Mixer, Control Panel, Shell Moulding Machine, etc. Saathi Foundry Solution has been set up by well-qualified engineers, who have expertise in building modem foundry machines. The company specializes in the manufacturing of variety of core shooters with advanced automation technology. We are understanding customer needs to design, supply, installation, commissioning and after sales service of the machines. Projects executed by Saathi Foundry Solution includes wide range of foundry machines supplied over India. Today the Saathi Foundry Solution believes the industry has to change in significant ways not just to survive but to become once again the world’s standard-setting leaders for core making technology. In order to accomplish this we must question every practice and method currently employed; asking why we do it that way and what cost does that create. Then we must employ critical thinking to create new/better methods and practices together as an industry: foundries, researchers, suppliers, and equipment builders. To help expedite availability, coordinate, and help with the development of future changes and improvements SAATHI teamed up some time ago with foundries, industry advisors, and key consumables suppliers to bring together new relevant technologies on advanced practical machinery platforms that reliably produce castings in a more competitive, profitable way, and environmentally friendly way. 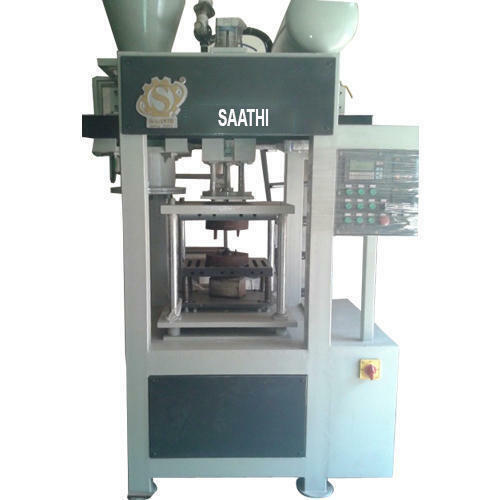 SAATHI offers foundry machines based on superior designs, special aspects, roduce excellent workmanship and built in quality as well as safety features. We are committproducingquality products with cost effectiveness besides excellent pre and post sales services. SAATHI products thus offer long term trouble free operation and gives real value for your money. With our wide experience into foundry technology as well as technical expertise our dream to be a leader in the manufacturing of foundry machines will not come true without your kind co-operation, valuable support and sound trust . We look at Customer as a part of our Family (SAATHI) and expect opportunities to prove ourselves for the growth and development of foundry business forever. We request you to go through our enclosed Product Profile. Kindly revert back indicating interest in products therein. Looking forward to the fruitful association with your esteemed organization.